Dover F.C. 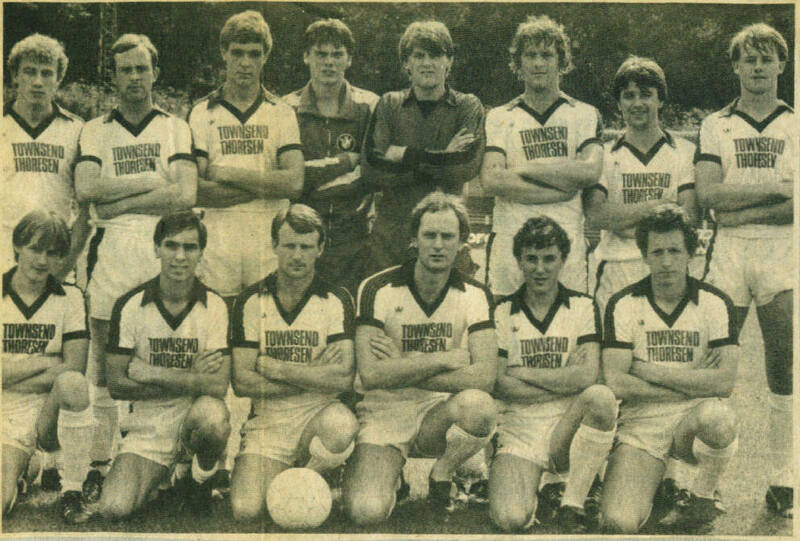 pictured before the friendly v. Maidstone United in August 1982. Richard Dowle scored our goal as we lost 2-1. Back row: Bobby Wilson, John O'Connell, Adrian Fagg, Colin Hart, Joe Radford, Dave Linstrem, Graham White, Neil Scott. Front row: Andy Preece, Paul Keen, Terry Norton, Dave Westgarth, Ian Kuypers, Richard Dowle.